Business management studies at the University of Mannheim. Seven years of employment at the consultancy division for medium-sized companies of Arthur Andersen and Ernst & Young. 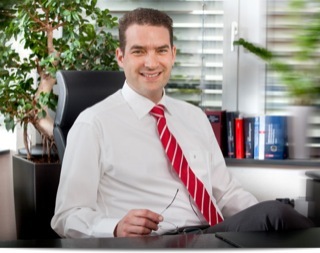 Christian Hoffmann was partner of a medium-sized auditing and tax consulting firm in Heidelberg. Since 1st January, 2009 Christian Hoffman is partner with shp scheffner & hoffmann partnership. His main field of activity is the advice of companies and individuals. This comprises both the corporation tax law with regard to corporations and partnerships and the business managerial advisory with regard to investment and financing decisions as well as the business start-up advice. Another main field of activity is the international tax law. As a chartered accountant he has an extensive knowledge of questions concerning the annual audit of financial statements according to German commercial code (HGB) and IFRS including the conversion of accounting to IFRS. Furthermore he has comprehensive know-how of EDP supported audits.